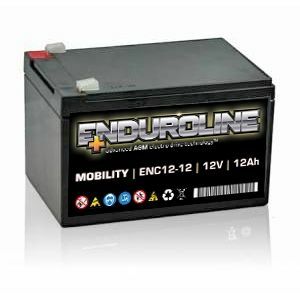 After replacing the batteries in my scooter with enduroline batteries, I could feel the difference straight away, it feels like a new scooter with more power going up slopes. the ride is lovely & smooth. Arrived in under 24 hours of ordering to the Isle of Wight. Fitted to a Freerider Ascot Mobility Scooter without any problems, I have noticed a speed increase & more power since flitting them. Excellent service & communication. Highly recommended. Your delivery was excellent and I would recommend you to any one. Excellent product and service ! Thank you very much. Good price, fast safe delivery as always. My family always use Tayna for our batteries. A little more expensive than the Lucas equivalent but this year I went with your recommendation. It's too early to tell if they're better yet but so far I'm delighted with them. Service was perfect as always and I hope to continue doing business with you. Only just installed them but all seems good. Service and delivery excellent. Working as it should ! Got two of these for a Robomow RM510. Perfect fit, and the right product for the job.